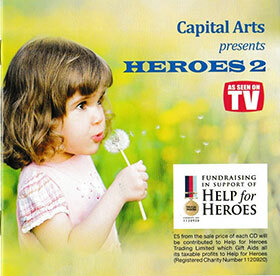 The Capital Arts Children's Choir has released a CD, Heroes 2 to raise funds for the charity 'Help for Heroes'. James Shanks, my father, was in the Irish Guards. He was wounded out of the second world war when his unit was blown up. He was the only survivor of the blast. After 2 years rehabilitation in hospital he was discharged fit and well. He lived to 96. It is that rehabilitation that is so important, physical rehabilitation, mental rehabilitation. Without the help of charities such as 'Help For Heroes' there simply wouldn't be the money to do the work needed. 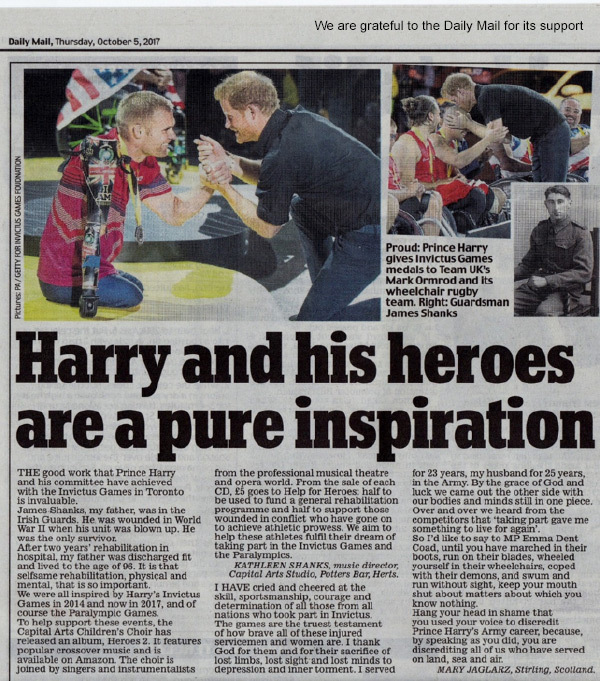 We were all inspired the Paralympic Games by Prince Harry's Invictus Games both showing what rehabilitation can achieve. Monies raised from the sale of the album will go to 'Help For Heroes', to help fund their general recovery programme as well as help those wounded in conflict who have gone on to achieve athletic prowess. Kathleen Shanks, Capital Arts. His Royal Highness was heartened to hear that you have been working with the charity Help For Heroes, to raise funds for wounded Servicemen and women, and he was interested to know that your father, James Shanks, served with the Irish Guards.